differently. There are some of us that react more to stress while others are able to push it down and are still productive. Either way, ignoring or coping with stress is dangerous and could manifest in ways that you least expect. Stress management starts with identifying the source of your stress, which could be work, family or financial difficulties. These can all be solvable or even managed so that we are able to achieve some semblance of serenity. This book is all about shedding away bad habits and picking on new ones. 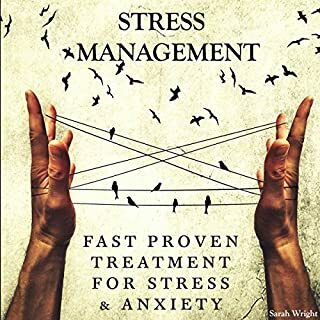 The narrator asks us to pick a few things that we want to achieve with the book and this is a very important stress management strategy. the seven-day startup plan is a great way to ease into the process of changing your life. The seven-day plan allows you to ease yourself into living a stress-free like. One of the most important points that this book recommends is making a plan with your partner. This is important because if you are living with someone who you spend plenty of time with, chances are they will be crucial to help you achieve your goals or be serious stumbling blocks to your startup plan. Also, starting your seven-day plan on a weekend also helps you to start off easy with minimal distractions. One section of this book that I am grateful for is the chapter that focuses on online health. Social media is now a critical part of most people’s lives and can be a serious source of stress for us today. You should make sure that your use of social media does not cause you undue harm, self-esteem issues or stress. Try your best not to follow toxic people that are either abusive or make you unduly stressed out. If you need to be continuously online and posting updates of your life, you should bear in mind that you will also see things that you wish you didn’t, things that will affect your mood. Do your best to decide how best you want to use social media and stick to it. If it means reducing your activity only, you should do that. Just make sure you shape it in such a way that you can take positive things. These include funny pictures and videos (not those rooted in meanness). Stay away from negative things like distressing videos and blogs that are famous for bad news. Remember that your input into your system and mind is very important to your well-being. Take time to celebrate activities and milestones. 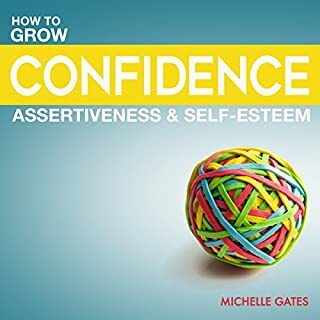 One of the most helpful books on confidence ever! the most famous actresses in history for her role in Titanic also suffered from self-confidence issues at some point in her life. It was quite an eye-opener as most of this book was. The funny thing was that the book also opened my eyes to another issue related to confidence which is over-confidence which is apparently as severe a problem as self-confidence deficits. I think this appealed a lot to me because I never really saw myself as someone that had self-esteem problems. This was the most important thing that I learned from this book. One of the things I have learned to do less of is self-criticism. Instead of paying so much attention to negative feedback, now I try my best to be the best that I can and be honest in my assessment of my performance. An advantage of that is that I now find more satisfaction in my work and efforts and I do not wait for people to comment before I feel good about myself. It helped me to start hurting myself less by driving towards unrealistic expectations. By not pressurizing myself too much and expending so much energy focusing on negative people. to be assertive. This is an important skill that we all need to master, especially those who are in managerial and other leadership positions. I can add to the list. I typically kept a personal journal right from when I was a teenager and now the book has shown me how to use that as a way to boost my self-confidence. Being my own cheerleader isn’t always easy when it seems like everyone is critical unnecessarily but thanks to the book, I can ignore them better and just be myself. This book is universal, I recommend it for everyone that wants to improve their lives. I sure found it extremely useful. 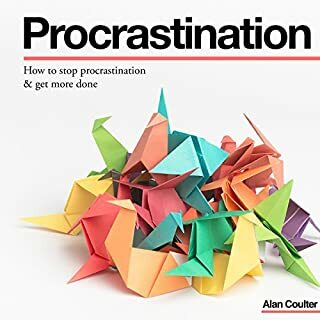 There have been many books written about procrastination, and they all seem to pass across the same message. This is one that I’ve learnt tips that make a positive difference in the way I manage my time. The author is right to indicate that a lot of procrastination comes from the lack of the willpower to do things that we are otherwise not compelled to do otherwise. Once the willpower is in place, productivity increases and more work gets done. The author also gives the readers twenty tips that I think are even too much to do. If you can commit to at least 10 of them, you will see a definite change in your work ethic. The flow of the book is awesome. The chapters flow well into each other and it makes an easy read from start to finish. The narration is nice, even-toned and an easy listen. If you could sum up Self-Discipline in three words, what would they be? My favorite chapter was the one that talked about ways to set goals and how to make them achievable. It was very practical and easy to follow. What did you learn from Self-Discipline that you would use in your daily life? One key learning that I took from this book is knowing that getting perspective on time is important in goal achievement. By being smart with goal setting, breaking bad habits is easier done. When the goals are realistic, time bound and small, you have a higher chance to succeed which helps increase self confidence and determination to do bigger things. Every year, we all make New Year's resolutions. These plans mostly do not see the beginning of February. 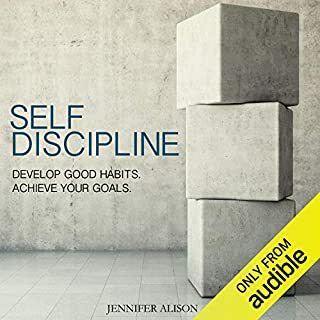 This book addresses how we can make better goals and have the self-discipline to see them through. You will learn the reasons why you find it hard to achieve personal goals and breaking bad habits. Excuses and procrastination are two major things you will learn to curb from your life if you want to make better goals. You will also learn to stop playing the blame game and other bad habits that prevent effectiveness in your personal life. When it comes to making good habits that help you complete your set goals, the book offers a lot of tips and help. Effective goals must be specific, measurable, achievable, recordable and time bound. The author goes deep into how to make goals that can be achieved and getting the necessary motivation, self-confidence and discipline to follow through. I highly recommend this book to everyone because it will help you improve as a person no matter which sector you find yourself in. The advice and tips are very easy to follow. The book is also well narrated and will not take too much of your time. What did you love best about Panic Attacks & Anxiety? What was one of the most memorable moments of Panic Attacks & Anxiety? The chapter on identifying triggers of your panic attack was my favorite. It is something that has to be done before one can start working on getting better. The chapter also talked about finding relaxation mechanisms which would help people cope well with panic attacks and anxious moments. The Path to a stressless life. My first panic attack was right after a really important exam. I remember getting really scared about it happening again. My aunt was at home at the time and she helped talk me through it and got me breathing normally again. Not everyone is lucky to have someone experienced close by. If I had to go back to that point in my life and I did not have her near, I think this book would suffice. It is that good. 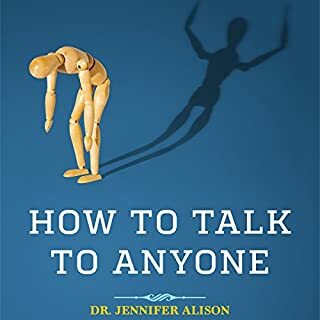 I would recommend this book because it is filled with potentially lifesaving tips and information. The exercises if followed carefully can make a difference in understanding and reducing panic attacks in a sufferer. I know some people that will benefit immensely from the author's work. I liked the way the book offered practical advice to problems. 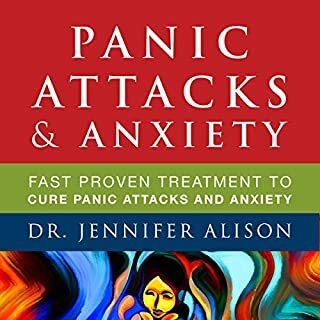 Most of the solutions that the author recommended for the anxiety and panic attacks were very realistic. I have tried some of them and recommended to friends and all were really helpful. I also liked the case studies that the audiobook used to make examples and drive home salient points. It made it really easy to relate with. Personally, I learn easier when there are clear examples so I really enjoyed the book. Lastly, it appeals to everyone, not just shy people. The tips also work with people who are already comfortable socially and can help make them better conversationalists. This I think makes it a book everyone can learn from. There's a lot to glean from no matter what your personality is, shy or outgoing. Her narrations is very engaging. I learnt several ways to improve my self esteem and make better conversations. The part about making relationships and keeping them. Also about managing social media. It seems to be a major part of our lives now. Texts, twitter, Facebook, there is a lot of pressure to keep up appearances. Nowadays, I take time to switch off for prolonged periods and not take everything too serious or let nasty comments get to me. If I don't like what you're posting or I'm getting negative vibes, I know I don't have to cope with it. I just unfollow them or block them. Life is easier that way. Highly recommended to everyone. 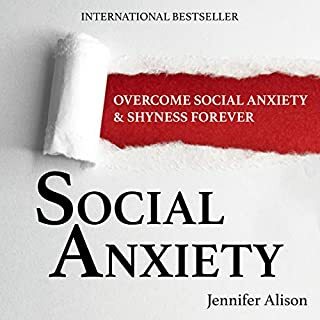 One of the best books on social anxiety I've read. What did you love best about Let Go of Worry, Embarrassment and Regret? I liked the fact that it was so practical. It offers real life solutions to real life problems. It was a reminder for me to let go of things in the past and just face the new days as they come. One thing I did after reading the book was go sign up for salsa classes. One of my worst memories was falling in High school during a group dancing class, I really want to replace it with happier memories. What about Sorrel Brigman’s performance did you like? Sorrel Brigman's performance was very natural and professional. Great job. Yes it was. I actually finished it in two long stretches that were interrupted by a phone call. Even while taking notes, it was fun to listen to. One thing I learnt from the book is not to be so hard on myself when I make mistakes. Loving myself more takes effort. I didn't grow up being ok with average and I guess now, I have to accept that I can't control everything in my life at work and also accept that I have done my best. Regret is toxic and when it stays in the mind too much, it affects our confidence. This book was a breath of fresh air and I can safely say I will try as many tips as possible from this book and improve my life. You should listen to this. It's going to change your life. 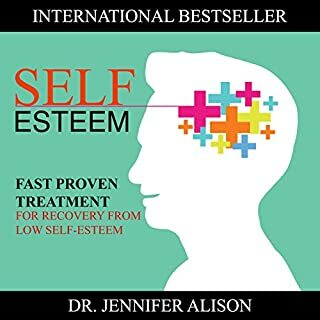 If you could sum up Self-Esteem: Fast Proven Treatment for Recovery from Low Self-Esteem in three words, what would they be? What does Heather Tuya bring to the story that you wouldn’t experience if you just read the book? It was very down-to-earth narration. Simple language, very clear and easy to understand. It also deals with life issues that everyone can relate to. There were some signs of self-esteem issues that even confident people like me miss and attribute to something else. I now take note of these signs better after I read the book. Setting realistic goals and not keeping up with the person next door. Trying not to focus on things I have no control over and accepting the results regardless as far as I know I did the best I could. It was a surprisingly good read for people who do not believe they have any self-esteem. Once you read the first few chapters and go through the exercises, you would see that there are a lot of areas of your life you can improve. Trying too hard to please people can be interpreted as being a hard worker whereas it could mask a deep-rooted insufficiency and need to be loved. The book went through the chapter, steadily providing cause and effect as well as solutions. when they fail to close a client, you’d think it was their fault whereas the person might just not be ready for a change of vendor at that time. I think this book would come handy during our team building activities. There are many self-development exercises to pick from that will make a difference in their lives. What does Rachel Austin bring to the story that you wouldn’t experience if you just read the book? This is my first listen of a Rachel Austin narration. I liked the flow, the conversational tone made it easy for me to listen for long periods. The information is presented in a down-to-earth manner. Rachel Austin delivered a professional and engaging effort that kept the conversation fresh. Her audio cues were also on-point. The book has made me more interested in going out. I am also less inclined to ignore phone calls in lieu of messages. I think over time, it had become very easy for me to hide behind text messages and emails especially with family because I didn’t get along too well with my siblings. Now I try my best to talk more and text less. I am still getting the hang of talking to strangers but at least now I’m less likely to brush off an advance from someone new. There might yet be hope for my love life! The author also talked about issues that were very personal to me. Being a person of above average intelligence, I’ve always had problems reading social cues and wondered why conversations seem to do on the downtrend once I get involved. Eventually I began to consciously avoid group discussions except at work where it is unavoidable. One change I made to the way I talk to people was to reduce the way I critiqued their ideas and inadvertently correct people’s grammar and language. I also tried to minimize gesticulations and body language that may indicate irritations. I was so surprised at the results these seemingly little changes brought about to my conversations at work and at home. I’m being giving more time during group sessions and I don’t see the smirks I used to get from my colleagues when I talked or tried to get a message across. This has made me feel more confident and less apprehensive about team sessions. I also noticed it’s easier for me to hold confrontational discussions with my boss without either of us flaring up. I also try to make eye contact more lately than before and at least I now understand that I glared in the past which made people feel like I was judging them, making them defensive. What I liked the most about this book is that I can see that my relationship with others and my conversations have greatly improved. I now look forward to meetings and people smile at me more than before which is a very good feeling that I find that I enjoy a lot. It makes me feel more confident and I owe that to the book. I would gladly recommend this book to everyone. It was a very interesting read for those seeking to improve themselves, great tips for work, family life and even dating and relationships.